What is the influence of manganese in Steel? Manganese is a major alloying element, has complex interactions with carbon and is used to control inclusions. Manganese is beneficial to surface quality in all carbon ranges with the exception of rimmed steels and is particularly beneficial in high-sulfur steels. Manganese provides lesser strength and hardness in comparison to carbon. The increase depends on the carbon content – higher-carbon steels being affected more by manganese. Higher-manganese steels decrease ductility and weldability (but to a lesser extent than carbon). Manganese also increases the rate of carbon penetration during carburizing. The effects of manganese can be summarized as.1. Lowers the temperature at which austenite begins to decompose 2. Extends the metastable austenitic region and delays the commencement of all the austenite decomposition reactions 3. Favors the formation of lower bainite and suppresses the upper bainite reaction on isothermal transformation 4. Is the most effective alloying addition for lowering the martensite-start (MS) temperature 5.Favors the formation of e-martensite 6.Has little effect on the strength of martensite and on the volume change from austenite to martensite 7. Has little or no solution-hardening effect in austenite and between 30–40 MN/m2 per wt. % in ferrite (by lowering the stacking-fault energy of austenite, manganese increases the work-hardening rate) 8. By lowering the MS temperature, manganese prevents the deleterious effects of auto tempering 9. Lowers the transformation temperature, causing substantial grain refinement 10. In general, lowers the tough-to-brittle impact transition temperature (due to its grain-refinement action) 11. Increases the propensity for weld cracking due to the effect on hardenability. The severity of its influence depends to a great extent on the type of steel and the welding techniques. 12. Does not increase the susceptibility of the steel to delayed fracture due to hydrogen absorption 13. Improves the fatigue limit 14. Reduces the number of cycles to failure under high strain conditions 15. Forms five carbides (Mn23C5, Mn15C4, Mn3C, Mn5C2 and Mn7C3), the dominant one being Mn3C, which forms a continuous range of solid solutions with Fe3C, thus reducing the solubility of carbon in a-iron 16. Prevents the formation of an embrittling grain-boundary cementite. 17. Suppresses the yield extension in deep-drawing steels by virtue of its grain-refinement effect 18. Suppresses strain aging 19. In combination with nitrogen, has a solid-solution hardening effect and improves high-temperature properties 20. Extends the range of use of low-carbon steels 21. Has a strong influence on the pearlite morphology of high-carbon steels 22. Extends the range of use of high-carbon steels through its grain-refining and pearlite-refining actions 23. Raises strength values in bainitic steels by reducing grain size and increasing dispersion hardening 24. Allows bainitic steels to be produced by air hardening 25. Increases hardenability 26. Slows down the temper reactions in martensite 27. Assists interphase precipitation 28. Improves austemper and martemper properties 29. Increases temper embrittlement unless the carbon content is very low and trace element impurities are minimal 30. In spring steels, promotes ductility and fracture toughness without undue loss in tensile strength 31. Removes the risk of hot shortness and hot cracking when the ratio of manganese to sulfur is greater than 20:1 by forming a higher melting-point eutectic with sulfur than iron sulphide 32. Has a major influence on the anisotropy of toughness in wrought steels due to the ability to deform manganese sulfides during hot working 33. Forms three manganese sulfide morphologies (Type I, II and III) dependent upon the state of oxidation of the steel 34. Enhances free-cutting steels 35. Increases the stability of austenite 36. Has similar atomic size as iron 37. Lowers the stacking-fault energy of austenite (in contrast to alloying element additions such as chromium or nickel) 38. Allows lower solution temperatures for precipitation-hardening treatments in highly alloyed austenite due to increased carbon solubility 39. Forms s intermetallic compounds suitable for precipitation-hardened austenitic steel detailing course in kochi 40. Plays a major role in controlling the precipitation process that occurs during isothermal transformation to austenite 41. Increases the rate of carbon penetration during carburizing 42. Contributes, in combination with nitrogen, to the performance of work hard enable austenitic stainless steels 43. Improves hot corrosion resistance in sulfurous atmospheres 44. Enhances wear-resistance in carbon-containing austenitic steels where the manganese content is between 12-14% 45. Improves response of low-alloy steels to thermomechanical treatments 46. Strengthens certain steels by producing an austenitic structure using manganese-containing compounds 47. Enhances the performance of TRIP steels 48. Promotes Ferro-elastic behavior in appropriate steels 49. Less tendency to segregate within the ingot 50. In general, improves surface quality. Structural steels are sometimes made by rolling steel solid from the steel making method when reheating it to a temperature higher than 850°C. Rolling consists of passing the steel through a series of rolls that kind the solid steel into the form and thickness needed. A big selection of shapes and sizes are presently rolled or out there. The properties of steel for the most part result from the influence of micro structure and grain size the different factors like non-metallic inclusions are vital. The grain size is powerfully influenced by the cooling rate, to a lesser extent by different aspects of warmth treatment and by the presence of little quantities of components like atomic number 41, metallic element and atomic number 13. Thus, the assembly of steel and steel product involves heat and therefore the effects of heating and cooling throughout. The chemical composition of steel is essentially determined once the steel is liquid except for a given chemical content the structure is essentially determined by the speed at that it’s cooled and should be altered by ulterior reheating and cooling below controlled conditions. Carbon steels are for the most part composed of iron with up to one.7% carbon, however the addition of comparatively little quantities of different components greatly influences its behavior and properties. For structural functions it’s fascinating that steel be ductile and weldable, and consequently most structural carbon steels are low-carbon steel with carbon within the vary zero.15 to 0.29% and should embody little quantities of metal, element and copper. 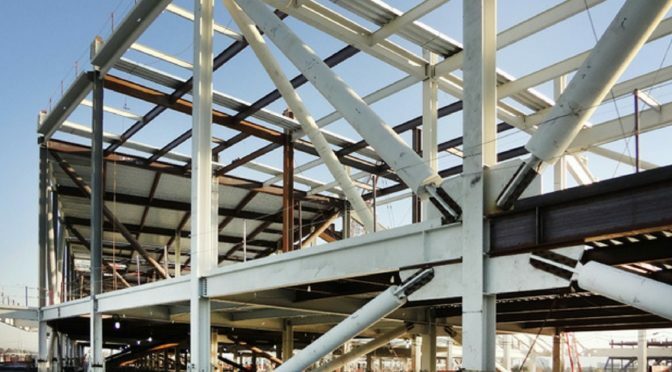 the right production of steel structures may be a complicated method involving creating the steel, process it into helpful product, fabricating these product into helpful assemblies or structures by cutting, drilling and fitting, and erection and grouping these parts, assemblies, and structures into buildings or bridges. it’s vital to investigate processes as a result of they’ll have a significant result on the investigated environmental impact of a steel structure, however they ordinarily don’t specify or would like details of exactly however the steel is made, rolled or fashioned. Presently, attachment is maybe the foremost vital method employed in the fabrication and erection of structural steel designing course in kerala work. it’s used terribly extensively to hitch parts to form up members and to hitch members into assemblies and structures. 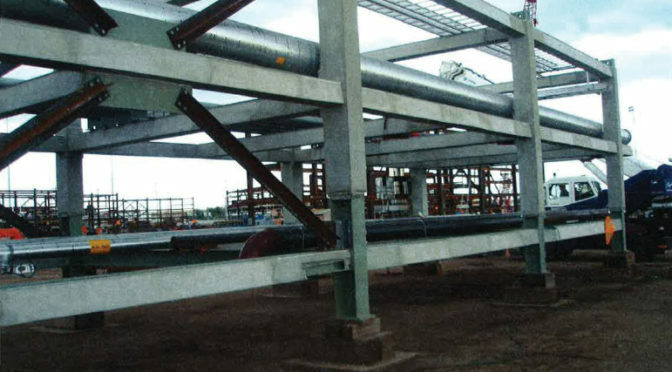 attachment used and done well helps within the production of terribly safe and economical structures as a result of attachment consists of primarily connection steel element to steel element with steel that’s intimately united to each. Corrosion of steel takes place by a fancy chemical science reaction between the steel and atomic number 8 that’s expedited by the presence of wetness. Structural needs further protection and therefore the usual strategies are paint systems or exciting. steel is an environmentally friendly artefact which means less environmental impacts compared with the opposite trendy structural parts. The usage of steel to implement the property criteria from the extraction and mineral processing of raw materials, through the look and construction of buildings to the tip of life is extremely vital for overall property. Steel and concrete bridge structures have similar impacts on the atmosphere. Steel will totally justify its claims to be the best construction material. It’s ability implies that instead of being destroyed to form means for a replacement building with modified use, a steel-framed building will typically be reconfigured for a replacement use, and given an entire vogue by ever-changing its protection. The long span capabilities of steel construction provides clear areas that may be simply reconfigured, providing the prospect of extending a building’s helpful life. 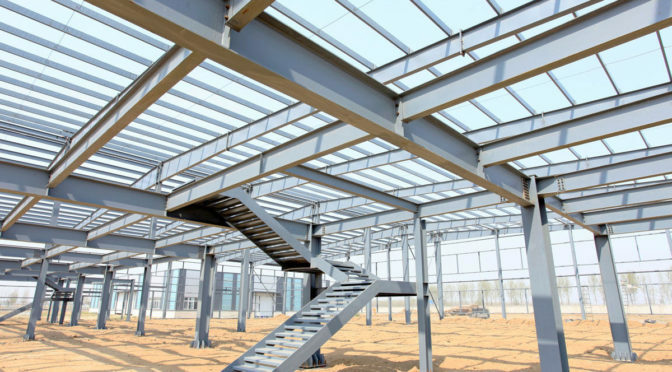 At the tip of a building’s helpful life its steel frame may be simply demolished and components of it either re-used or recycled; de-mountability may be designed into a steel building, permitting house owners to arrange for future use on another web site. Steel employed in construction won’t visit lowland as even scrap steel includes a price and could be a very important part within the method of manufacturing new steel. Steel may be recycled which means subsequent re- cyclings do nothing to cut back its qualities; it’s not simply recycled, however multicycled. The different aspects of a seismic design has always been a concern when it comes to the designing of steel structure design course in kerala. A number of strategies are important to the design of structures that will behave adequately in strong earthquakes. The major aspects that are considered are continuity, adequate stiffness and strength, regularity, redundancy etc. Continuity. 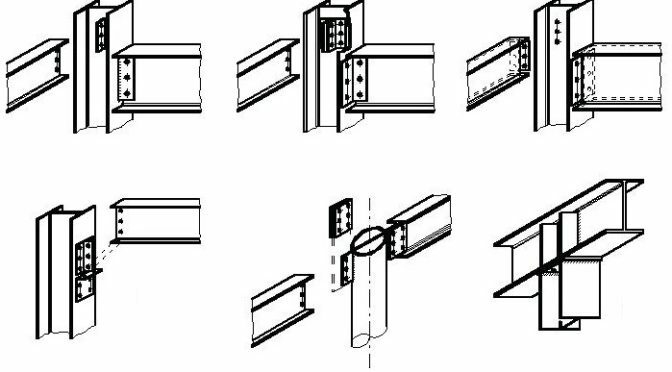 All of the pieces that comprise a structure must be connected to each other with sufficient strength that when the structure responds to shaking, the pieces don’t pull apart and the structure is able to respond as an integral unit. An important aspect of continuity is having a complete seismic load resisting system so that a force that is applied anywhere in the structure has a means of being transmitted through the structure and to the foundation. In addition to vertical frames, a complete seismic load resisting system must also include horizontal diaphragms to transmit inertial forces to the vertical frames. Stiffness and Strength. Structures must have sufficient stiffness so that the lateral deformations experienced during an earthquake do not result in instability and collapse. Structures must have sufficient lateral and vertical strength such that the forces induced by relatively frequent, low intensity earthquakes do not cause damage and such that rare, high-intensity earthquakes do not strain elements so far beyond their yield points that they lose strength. Regularity. A structure is said to be regular if its configuration is such that its pattern of lateral deformation during response to shaking is relatively uniform throughout its height, without bringing a lot of deformation in small areas of the structure. It is important to avoid excessive twisting of structures because it is difficult to predict the behavior of a structure that twists excessively. It also is important to avoid concentrations of deformations in structures because these concentrated deformations can become very large, leading to extreme local damage in the area of the concentration and a loss of vertical load. Redundancy is important because of the basic design strategy embodied in the building codes, which anticipates that some elements important to resisting lateral forces will be loaded beyond their elastic limits and will sustain damage. If a structure has only a few elements available to resist earthquake-induced forces, when these elements become damaged, the structure may lose its ability to resist further shaking. However, if a large number of seismic load resisting elements are present in a structure, and some become damaged, others may still be available to provide stability for the structure. Defined Yield Mechanisms. The most important strategy is to Design a predetermined yield mechanism. In this approach, which is often termed capacity design, the designer must decide which elements of the structure are going to yield under strong earthquake excitation. In order to sustain yielding without undesirable strength loss elements are detailed . At the same time, all of the other elements of the structure, such as gravity load-carrying beams, columns and their connections, are proportioned so that they are strong enough to withstand the maximum forces and deformations that can be delivered to them by an earthquake, once the intended yield mechanism has been engaged. In essence, the members that are designed to yield act as structural “fuses” and protect other elements of the structure from excessive force. 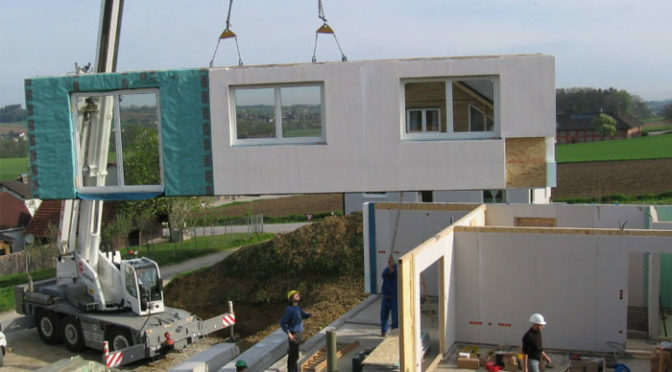 This strategy ensures that critical members important to the vertical stability of the structure and its ability to carry gravity loads are not compromised. Austenitic unblemished steels have wonderful corrosion resistance, additionally, even thick, hot-rolled primary solid solution chrome steel plates afford wonderful toughness and weldability. As a result of these characteristics, they’re widely used as steel materials for welded structures, in the main in industrial machines and plants. 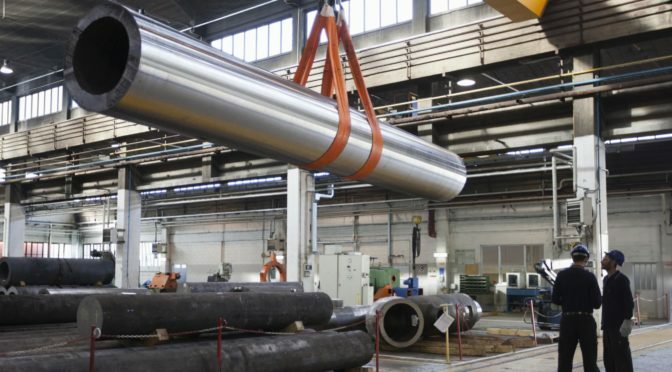 within the design and engineering fields too, there’s little question that SUS304—the commonest primary solid solution unsullied steel—will still be the foremost probably candidate for the applying of unsullied steels, visible of the very fact that SUS304 contains a smart balance of properties, available in varied forms, and has already found several applications. Once properly used, it is free from conspicuous erosion for an extended time and displays better performance as a steel material. 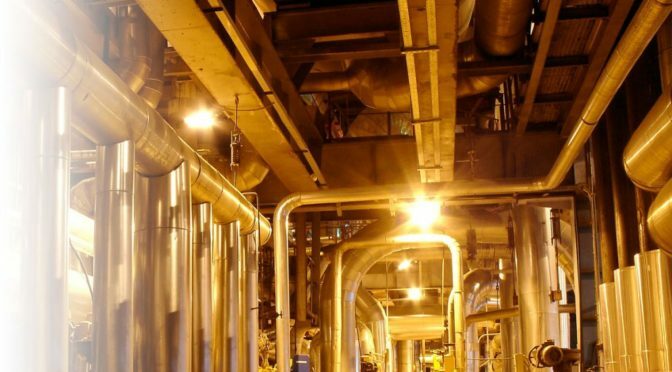 In distinction, since SUS304 contains a substantial proportion of nickel (a rare metal), it’s rather more costly than general structural steels and structural steels that are subjected to corrosion-protective treatment (e.g., plated steels). Moreover, the worth of SUS304 is at risk of fluctuations within the prices of raw materials. even if increasing importance is hooked up to LCC, the higher than value structure for SUS304 is associate degree impediment to increasing its application below gift domestic conditions that square measure loath to any increase in initial work price. In distinction, ferritic chrome steel sheet (cold-rolled sheet), that doesn’t contain nickel, has seen its applications in vehicles and residential appliances, etc., speedily dilated. Formerly, hot-rolled ferritic chrome steel detailing course in kochi was thought-about unsuitable as a steel material as a result of its inferior toughness and weldability. The technological progress has helped in reducing impurities, etc., in steel producing and application/forming technology, like fastening, hot-rolled ferritic chrome steel containing less than regarding 11 November metal currently has enough properties needed of structural steels, and thence will be utilized in several applications. The characteristics and future prospects of a hot-rolled ferritic chrome steel developed for discipline structure—are as follows. Carbon and element impurities square measure reduced and also the microstructures of the merchandise and heat-affected zones square measure rendered finer. The deformation characteristic is analogous thereto of general structural steels, because the fixed strength utilized in structural style, identical worth as that of SS400 steel for structural use will be adopted. The matter of inferior toughness of welded joints and inferior fastening workability has been eliminated that has been a drawback of ferritic chrome steel. Since the steel contains a relatively tiny proportion of metal, it’s subject to erosion corrosion in outside environments containing fine particles of ocean salt. However, in standard outside environments, the speed of corrosion growth is very low and thence enough structural sturdiness will be secured for prolongedstruction. 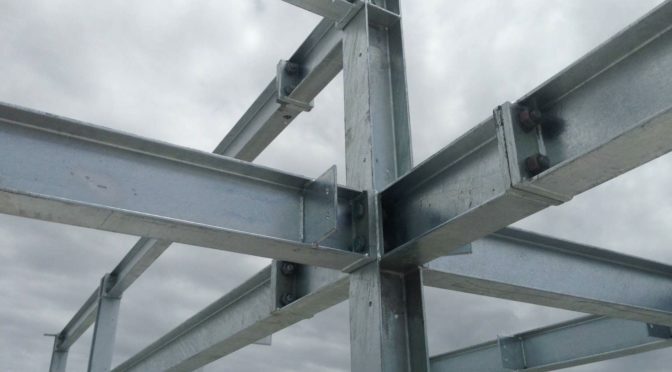 This steel has been approved by the minister as fixed below Article thirty seven of the Building Law, in order that it will be utilized in general buildings. Additionally, the steel could be a high-durability steel that meets the best level of sophistication three (durability: regarding a hundred years) within the classification of measures against deterioration as outlined within the Housing Quality Promotion Act. 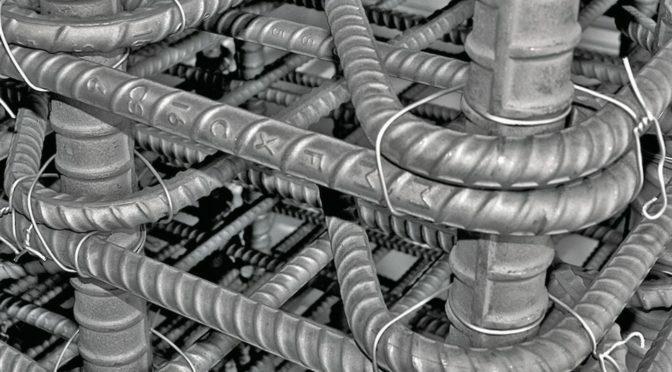 The steel is predicted to search out applications within the design and engineering fields, not solely as a fabric for the body of long-lived housing, however conjointly as a replacement sort of structural chrome steel that helps scale back the load of corrosion-protective treatment applied throughout work or maintenance.